*PRICE REDUCED* Fully remodeled ranch with large 2-car oversized garage at a great price point! 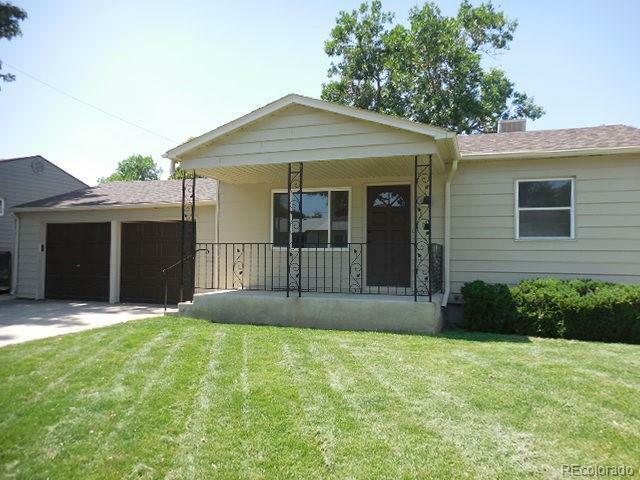 Perfect for first-time homeowners or investors just minutes to Denver & Aurora. New kitchen w/granite counters, maple cabinets, stainless steel appliances, new floors, custom lighting and railings. Both bathrooms are updated with new flooring, tile shower surround, backsplash and vanities. Refinished hardwoods upstairs, new carpet downstairs and new paint throughout. A fully finished basement w/2 non-conforming bedrooms, full bath, separate room for laundry and bonus living space. Large fenced backyard w/covered patio. Exterior siding made of steel, new roof and evap. cooler installed 2018. Both furnace and water heater is good working order. Come see today, this home is Move-in Ready!